There’s a lot which goes into launching a new flight, which can be easy to lose sight of as a consumer. The most basic level of “authority” to operate a route is an air treaty between countries, which is what the Open Skies debate between the US and Gulf carriers is centered around (there’s an “open skies” treaty between many countries, including the USA and UAE/Qatar, but the US argues that that select Gulf nations should be excluded from it, since they’re not on a level playing field). But the even more challenging (and expensive) matter can be securing slots at an airport. 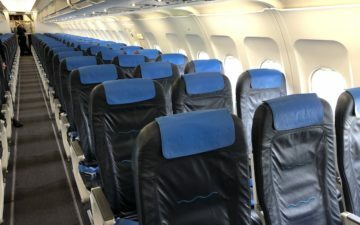 In case you’ve ever booked a flight to a popular airport and wondered why an airline has limited service or why the arrival and departure times are unfavorable, a large part of that can be the lack of decent slots. Heathrow is one of the most heavily slot restricted airports in the world, and desirable slots are very valuable. Well, Oman Air just broke a record by buying the most expensive slot in Heathrow’s history. Oman Air just purchased a prime London Heathrow slot from Air France/KLM for $75 million. That’s $15 million more than the previous most expensive deal about a year ago, where American bought a slot from SAS. 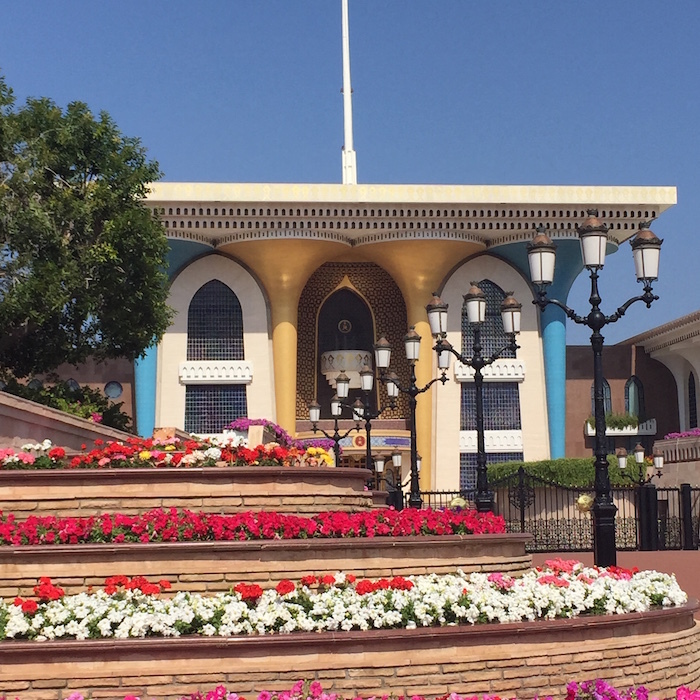 In January, the Abdulrahman bin Harith al Busaidy, Chief Operating Officer of Oman Air, said that a second frequency would be added to the carrier’s current daily non-stop service between Muscat and London Heathrow from March 27. To cater to passengers travelling onwards to across the Atlantic, flights will leave Muscat at 1 am and arrive in London at 5.30 am. The return flight will leave at 8.30 am and arrive in Muscat at 7 pm. So the new frequency would nicely complement their existing frequency, especially for an airline so heavily dependent on connecting traffic to fill their planes. 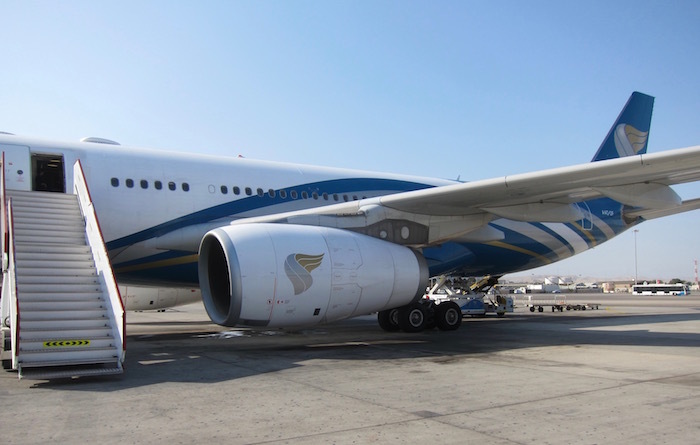 Oman Air tries to do everything they can to minimize connection times in Muscat to shorten the journey time as much as possible, and this will help considerably with that. What makes this especially interesting is that Heathrow is considering a third runway, and they’re supposed to reach a decision on that this year. If a third runway is announced, it should drive down the cost of slots a bit, since there will be more available. While the runway wouldn’t be completed for another 10-15 years, I imagine even just the announcement of such a runway has the potential to drive down prices, given that it means supply will be increased in the future. Having just taken my first trip on Oman Air, I love the airline, and would love to see them expand their service to the US at some point (though I doubt it will happen). It’s great to see Oman Air grow at Heathrow, though with a $75 million price tag for the slot, they must have really wanted that second daily frequency. I’m curious to see what happens to the price of Heathrow slots if/when a third runway is announced. If the third runway is shot down, I imagine it could drive up prices even more, while if it’s approved I imagine it will immediately lower the value of slots. But it’s still amazing to think that an airline pays as much for the right to operate a single flight out of an airport as they do for an actual plane (or heck, the price of nearly eight used 777s according to Delta’s CEO). If the goal is to accommodate passengers connecting across the Atlantic, why not buy a few 787s and fly yourself? A third runway has been hugely controversial at Heathrow for years, and despite the suggestion (and its desperate need), I’ll be shocked if they do in fact agree on building a third one this year (or the next few years) given all the opposition. Meanwhile, this unblocks Oman Air from flying what might be a key business route. I think it is fantastic reading. If the market had not been monopolized by BA/BAOC as it was in the beginning the Crown Colonies would have had easy access to the LHR slots, but by BAs presence in the area, the will to invest local-capital in airlines was rather slow/soft. Once the Brits however decided to pull-out, or regulate the market, the slot-restrictions at LHR were imposed. As of today LHR slots, based on time of the day, are a commodity that could have been IPOs, however the airline selling/giving-up on slots are almost doomed to loose. Either something more interesting route will pop-up, and be chaperoned or sponsored by BAA. However, from my point of view, the local market has adapted accordingly. Most Legacy carriers of the European market, only do their LHR calls, to keep their slots. “there’s an “open skies” treaty between many countries, including the USA and UAE/Qatar, but the US argues that that select Gulf nations should be excluded from it, since they’re not on a level playing field.” This is confusingly worded and I don’t think even accurate. AFAIK there’s an Open Skies treaty between the U.S. and Qatar but not between the U.S. and UAE. And what do you mean the U.S. argues someone should be excluded? The U.S. concluded those agreements after all. Maybe you meant US carriers? The third runway decision has been kicked down the road once again due to spineless UK government departments and the inability of the politicians to see past their own political survive-ability. Sound familiar?. Seems a sensible idea, given that all of Oman Air’s current flights land in Europe too late to make connections to North America. I wonder who they will codeshare with. Gulf Air partner with American. Heathrow third runway has been discussed 4 times from 50 years ago, and nothing have been done. I don’t think any decision will be made in this decade. Oman Air paid $75 million for a slot that departs Heathrow 8.30 in the morning! Definitely not a good flight for the UK market, so US is the only target. A difficult flight to sell maybe. Garuda Airlines moves to Heathrow and paid nothing for their slot! ….a fool and his money comes to mind.